From now on, whenever you open a Legendary in a Hearthstone card pack, it will be a Legendary card from the same set that you don’t already own. You’re also guaranteed to get a Legendary within your first ten packs of a new set. If you’re keen to get into Hearthstone with the new expansion, take a look at these beginner decks. Those are the big changes Blizzard announced at the end of June. 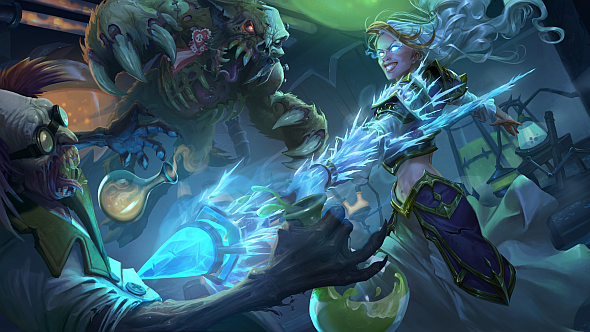 We weren’t expecting them to go live until Knights of the Frozen Throne launched, but Blizzard announced yesterday that they’re now active. Wild sets are also available to purchase in the Blizzard shop once again. Briel_hs has been testing the changes thoroughly on the Hearthstone subreddit. According to the results, the ten-pack limit for a Legendary also works for old sets, and works even if you’ve opened card packs on an account before (there’s been some confusion on this point, but Psilodelic confirmed it in another test – the first ten packs of each set guarantees a Legendary). Sounds pretty generous. On average, you’ll need to open five packs on average to get your guaranteed Legendary. Briel’s advice for new players is to open card packs one by one, and stop right after you get the Legendary.